The Wall stood along Harzer Strasse / Bouché Strasse / Heidelberger Strasse (thanks jmvanelk!) – who knows where exactly this picture was taken, which name has this street? 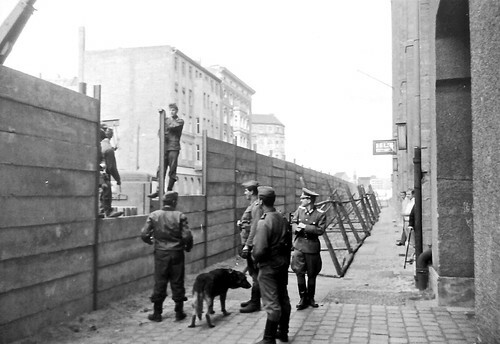 The wall was located on the east-Berlin side, the border itself where has been where in this picture the barbwire barrage is.